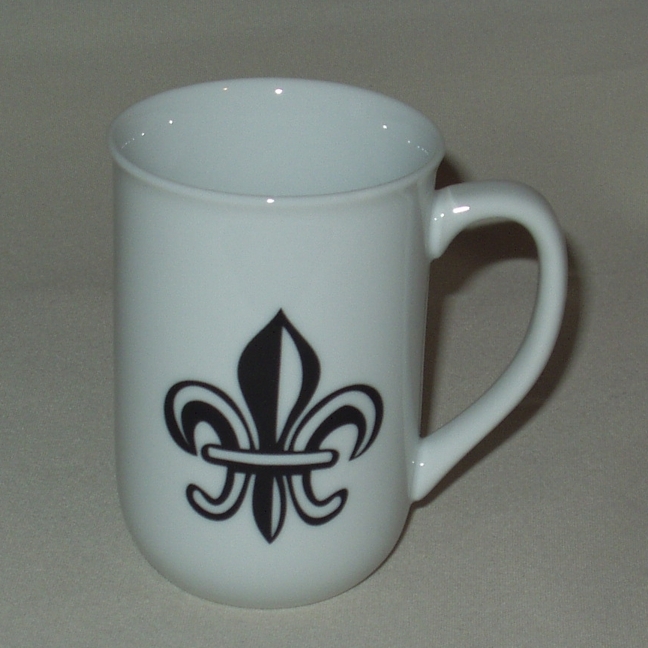 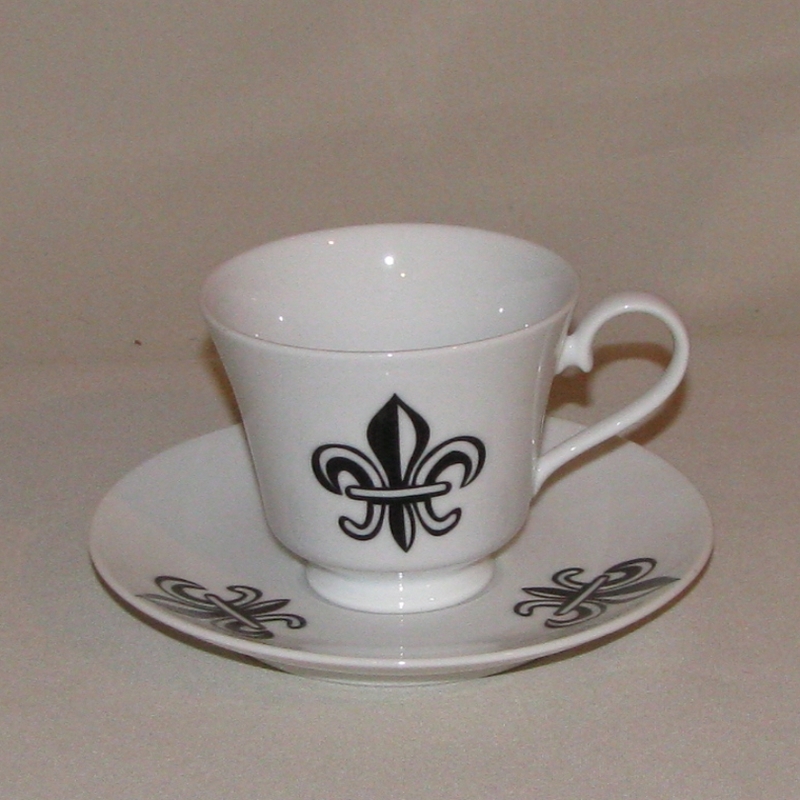 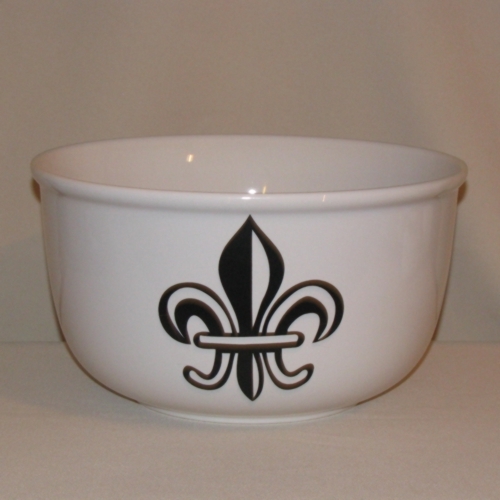 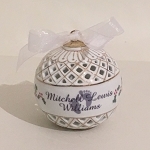 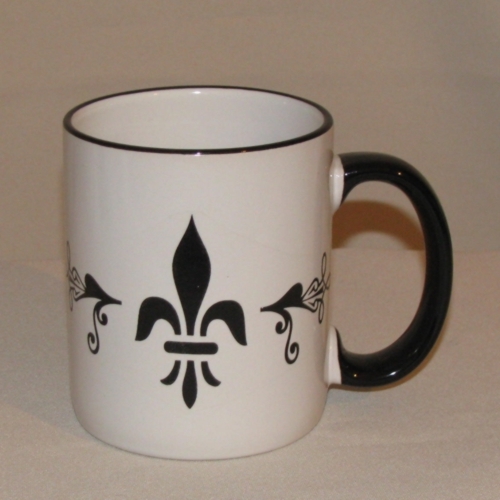 This cup & saucer features the elegant Fleur de Lis pattern. 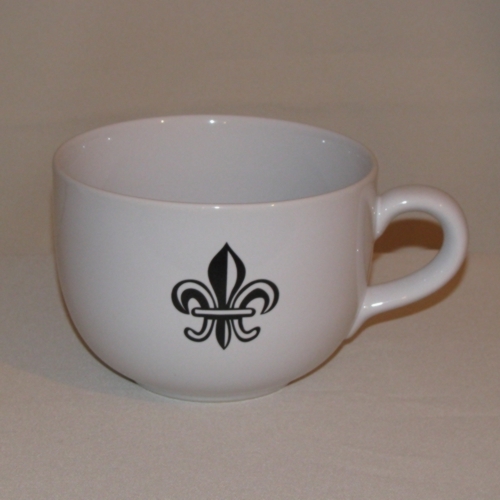 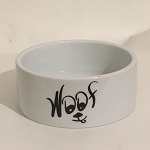 The cup & saucer are vitrified porcelain and dishwasher & microwave safe. 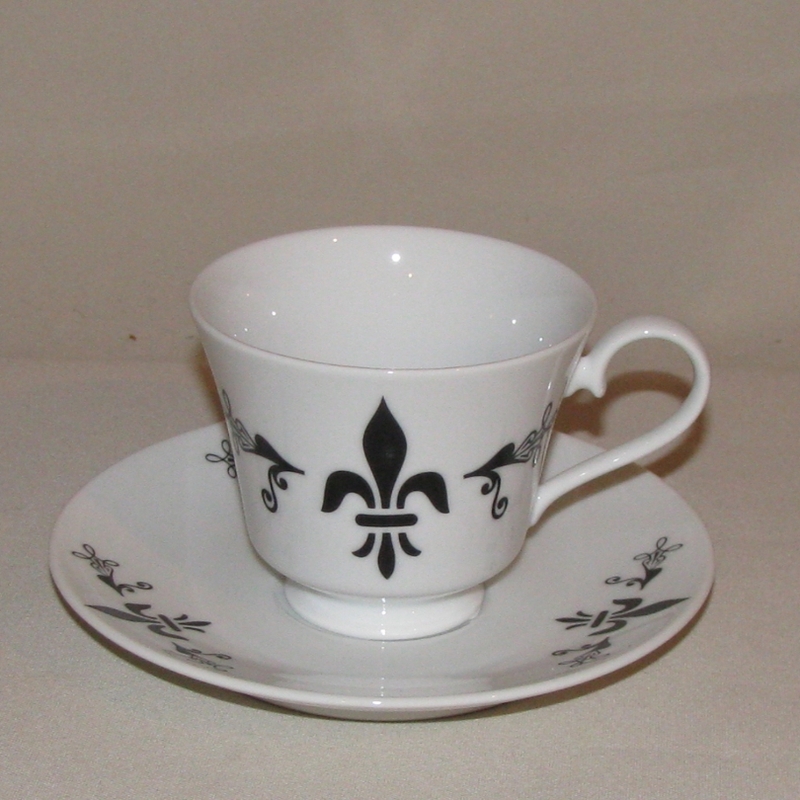 Rim Cup & Saucer - cup: 8oz. 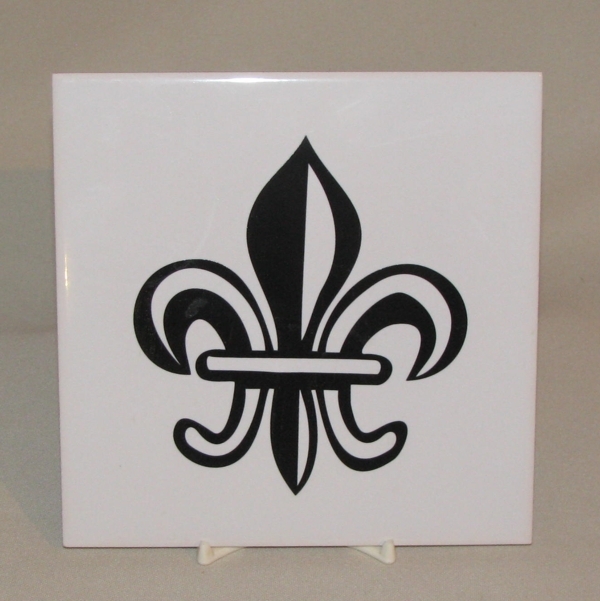 (3 3/4" dia. 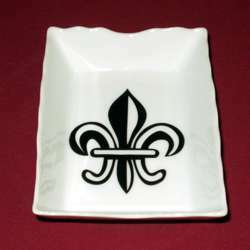 ; 3 1/4" high); saucer: 5 3/4" dia.